Here I am with an empty fridge again! Planned on heading to HEB right after picking little girl up from school, but the Texas heat helped change my mind, so this evening was time for some creative cooking. Good thing is there was a box of Chinese Spaghetti in the freezer, also frozen green onion pancakes to fill our tummies. I thought tonight would be the perfect time to try out Just One Cookbook‘s authentic Miso Soup Recipe. Boy was it yummy! We no longer need to drive to a Japanese restaurant to sooth our craving! 1. Put Dashi-Jiru in a medium saucepan. Bring it to a boil and turn off the heat. 2. Add miso into the boiling Dashi, stir to make sure everything’s dissolved, taste to make sure it’s to your liking. 3. Add tofu and seaweed into the stock. Stir the soup gently without breaking up the tofu. 4. When you are ready to serve, reheat the miso soup on medium high heat. And please remember: NEVER LET THE SOUP BOIL because miso will lose flavor. Add green onion and serve immediately. Recipe adapted from Just One Cookbook, thank you Nami for sharing! Oh my goodness! Cindy, thanks for trying my miso soup! I hope you liked it. 🙂 It’s easy right? Now you can make yourself miso soup anytime!! I like the combination of onion + tofu + seaweed. If you want to add any “root” vegetable, cook in Dashi-Jiru first. But let’s say, if you want to add cabbage (my son’s favorite), add after boiling. You can make so many variation now. 🙂 Enjoy! And thank you for your links to my site! You are so kind! Well, I should say “underground” vegetable instead of root. That makes more sense. Hi Nami! I think root vegetable is the right way to say it, at least that’s how my sister calls one of her famous dish “Roasted Root Vegetables”. I did make a booboo and accidentally boiled the soup (I was taking photos and totally forgot to turn off the fire), so can’t wait to make the miso soup again, if it tasted yummy this time, I am sure the next time will be even better! 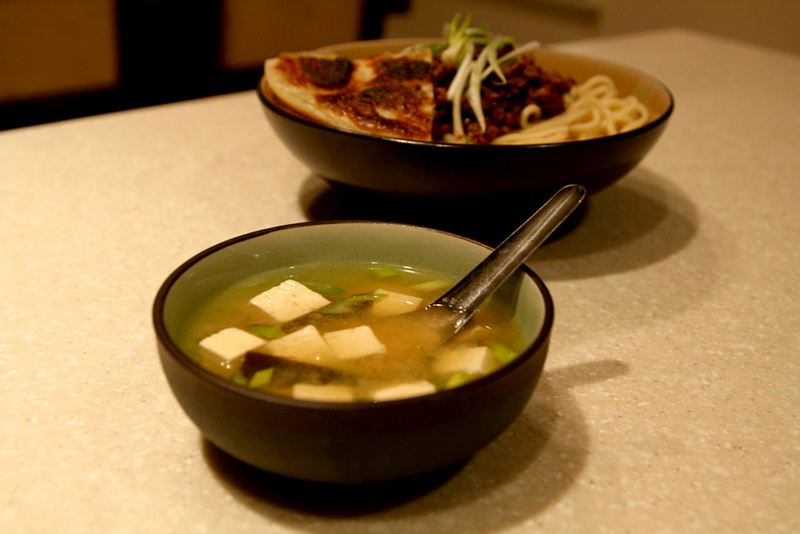 Nami from Just One Cookbook is an excellent cook, and this miso soup really hits the spot!